Tents come in a variety of styles, let's look at the set up required for a Pole tent. Begin by choosing a level campsite without any rocks, branches or hard objects, next layout your ground sheet, the ground sheet should be slightly smaller than the circumference of your tent. It helps to protect the bottom of your tent against abrasion so that it stays waterproof. After the ground sheet is down, layout your tent with the door facing the desired direction. Make sure the floor of the tent is taut. Assemble the frame poles and insert them into the pole sleeves, the poles should form an X in the middle of the tent. Insert one end of the main tent pole into the pin, of the pin & ring system at the corner of the tent. Go to the opposite end of the pole and apply pressure to the pole, forming an arch, until you are able to insert the pin into the hole. Repeat for the second hole. Stake down the corners of the tent only using the rings at the end of the stake loops. 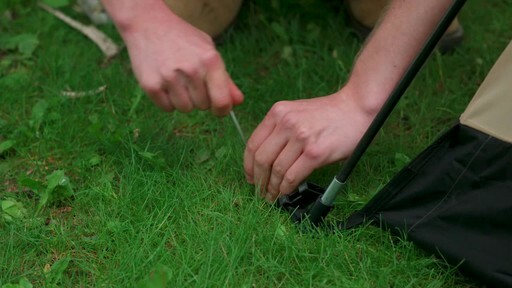 To disassemble your Pole tent remove the stakes by pulling on them not on the tent fabric or the tent stake loops. 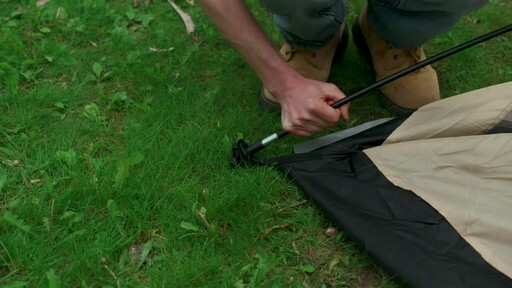 Lay the tent flat on the ground, remove the poles from their sleeves and fold them up for storage. If you're tent is wet it's best to set it back up within 24 hours of returning home to allow it to dry. With proper care and storage your tent will provide many years of comfort, convenience and enjoyment. 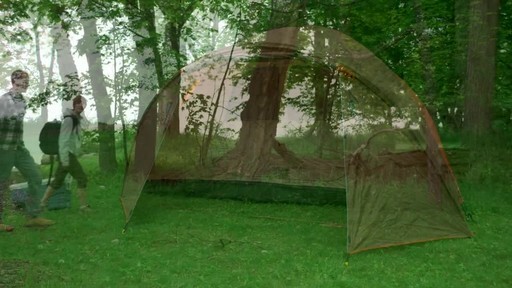 Woods™ Big Cedar Tent, 4-Person with Nathan - TESTED..